In a large shallow dish, combine flour, 1/2 teaspoon salt and pepper. Pat beef dry with paper towels. Add beef to dish, one piece at a time; turn to coat. In a 6-qt. electric pressure cooker, select saute setting and adjust for high heat. Add 1 tablespoon butter and 1-1/2 teaspoons oil; brown three beef shanks. Remove from pressure cooker; add 1/4 cup wine, stirring to loosen browned bits. In a large bowl, combine tomatoes, broth, vegetables, seasonings and remaining salt. 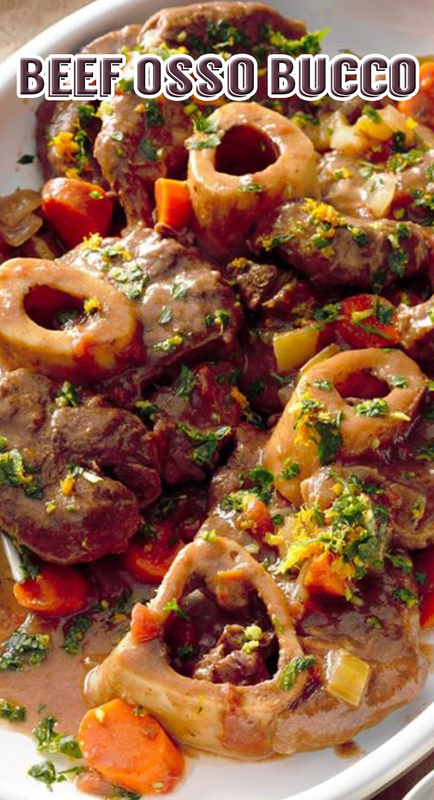 Return browned beef shanks to cooker; pour in half of tomato mixture. Lock lid; make sure vent is closed. Select manual setting; adjust pressure to high and set time for 40 minutes. When finished cooking, allow pressure to naturally release for 10 minutes, then quick-release any remaining pressure according to manufacturer's directions. Remove meat and vegetables from pressure cooker; keep warm. Make second batch with remaining ingredients, repeating previous procedure. After removing all meat and vegetables, discard bay leaves. Skim fat from cooking juices. Select saute setting and adjust for high heat. Bring to a boil. In a small bowl, mix cornstarch and water until smooth; stir into cooking juices. Return to a boil, stirring constantly; cook and stir until thickened, about 2 minutes. In a small bowl, combine gremolata ingredients. Serve beef with gremolata and sauce.